With our comprehensive assortment of coffee products, DS Services® coffee delivery service brings you the choice and variety you would expect from a brewed-beverage aisle in a grocery store! Simply select your favorites, and we'll bring them to you. Green Mountain Coffee® began as a small specialty roaster in Vermont in 1981, a time when premium and gourmet coffees were still rare. 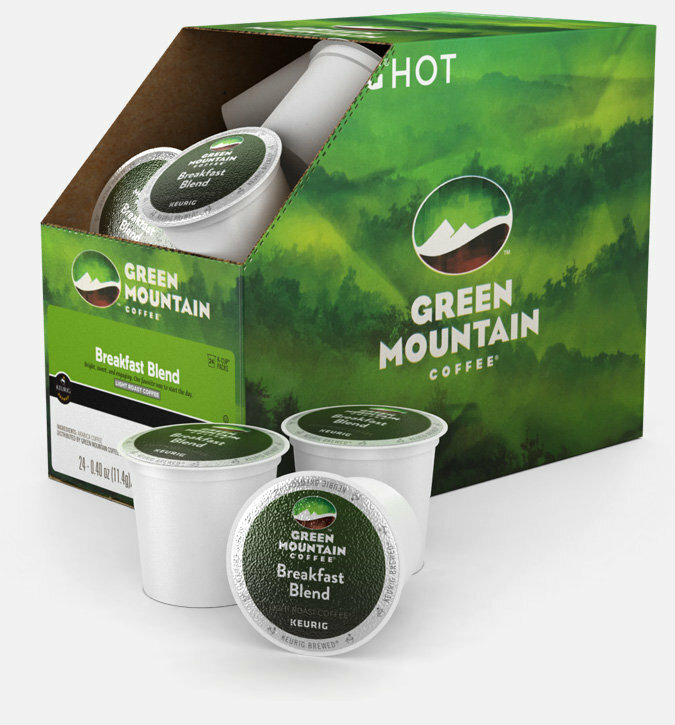 After acquiring Keurig® in 2006, Green Mountain Coffee® established a legion of single-cup coffee loyalists who enjoy premium brews made exclusively with gourmet roasted Arabica beans – not to mention a variety of refreshing teas and heartwarming cocoa! Available in Keurig® authorized K-Cup® pod varieties. 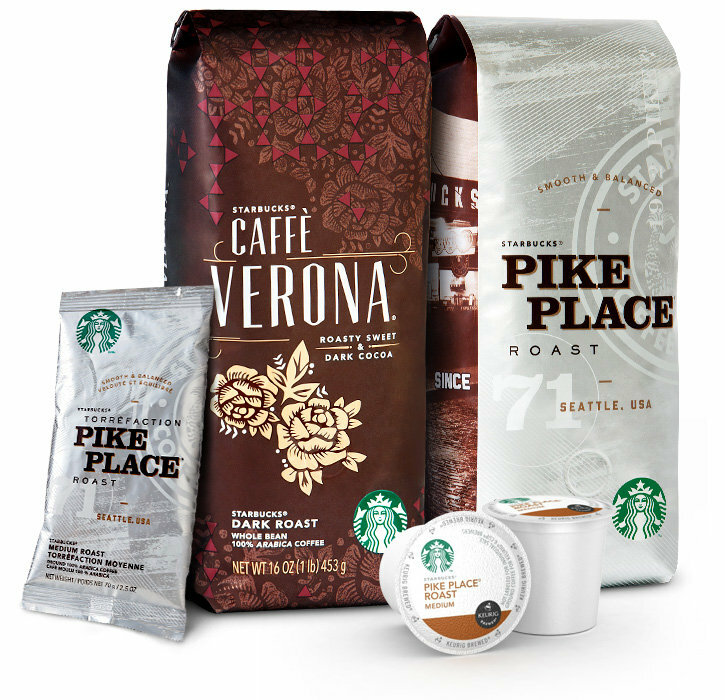 A leader in gourmet brewed beverages since 1971, Starbucks® has elevated the morning cup of coffee to a must-have indulgence. Now Starbucks® comes to you, bringing fresh-brewed coffee to your beverage station in under a minute. The best part? No lines, no waiting. Available in single-cup Keurig® authorized K-Cup® pods, roast and ground, and whole bean varieties. Under the iconic Mars brand, Mars Drinks has offered a wide variety of great-tasting drinks for more than 40 years. 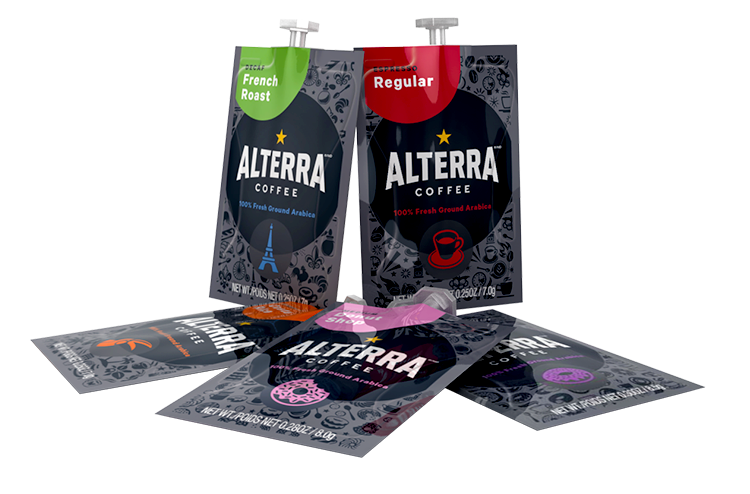 ALTERRA® Coffee Roasters, The Bright Tea Co.® and DOVE® serve up popular coffees, teas, hot chocolates, cappuccinos and lattes via easy-to-use FLAVIA® brewers. Available in Fresh Pack varieties. 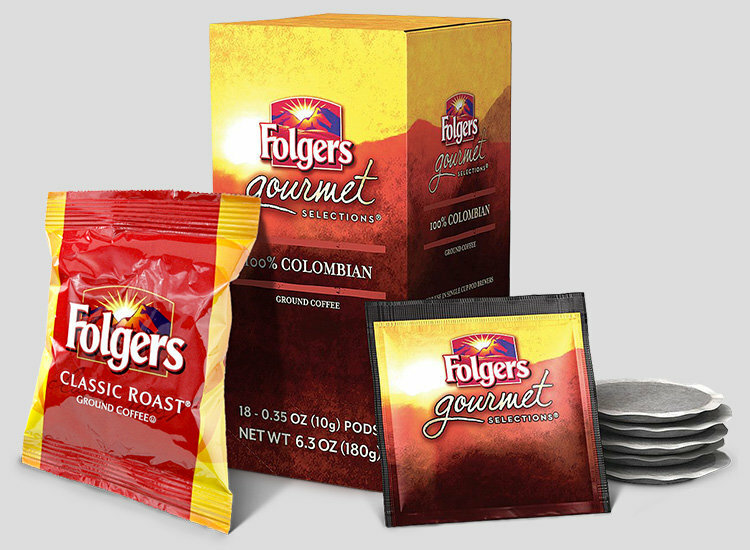 With roots going back to the 1850s, Folgers® is the watermark for great-tasting, affordable coffee. Folgers® continues to produce superior quality coffee with Mountain Grown® beans ripened to perfection and enjoyed by millions. Available in single-cup filter pods and roast and ground varieties. 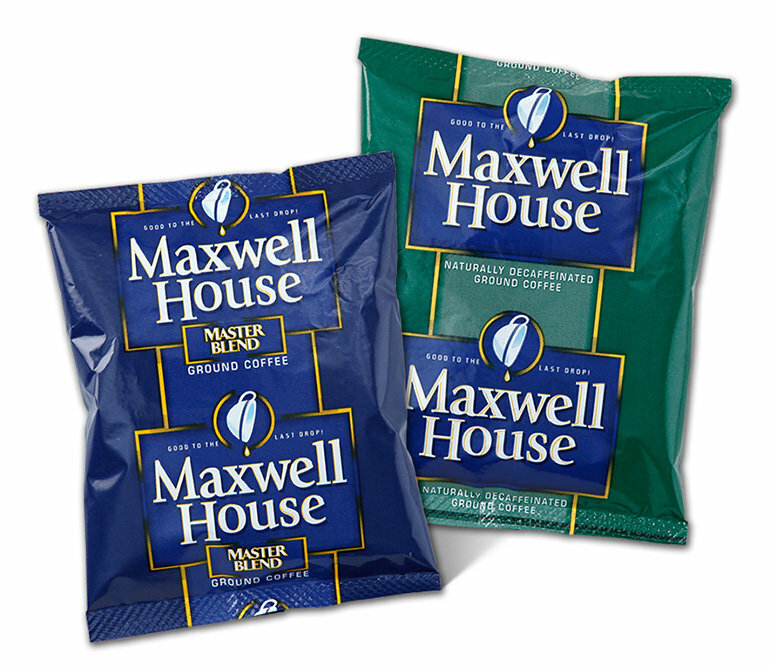 Named in honor of the Maxwell House Hotel in Nashville, Tennessee, the Maxwell House® brand has been an American favorite since the late 1800s. The classic flavor lives up to its reputation as the go-to workplace coffee brand that's "good to the last drop." Available in roast and ground varieties. 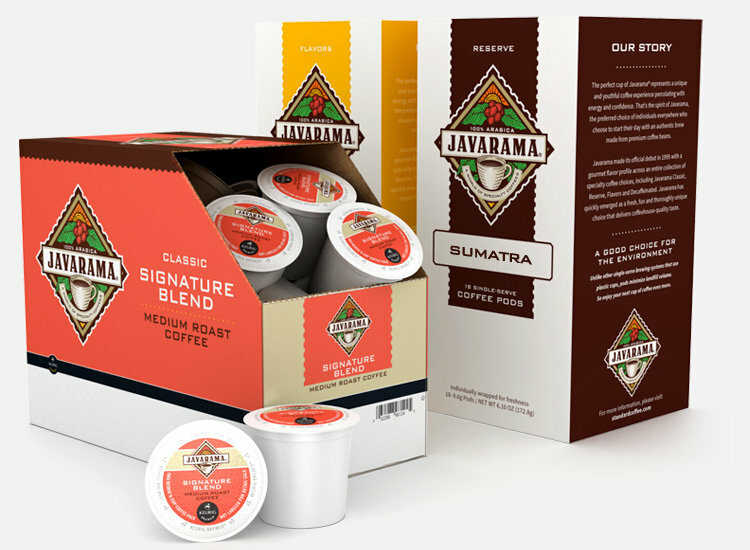 Our proprietary blend, Javarama® is a distinctive collection designed to satisfy a diversity of palates. Javarama delivers a true coffeehouse experience with specialty blends made from premium Arabica coffee beans – delivering on the full-bodied depth you expect from a premium brew. Available in single-cup filter and Keurig® authorized K-Cup® pods, roast and ground, and whole bean varieties. 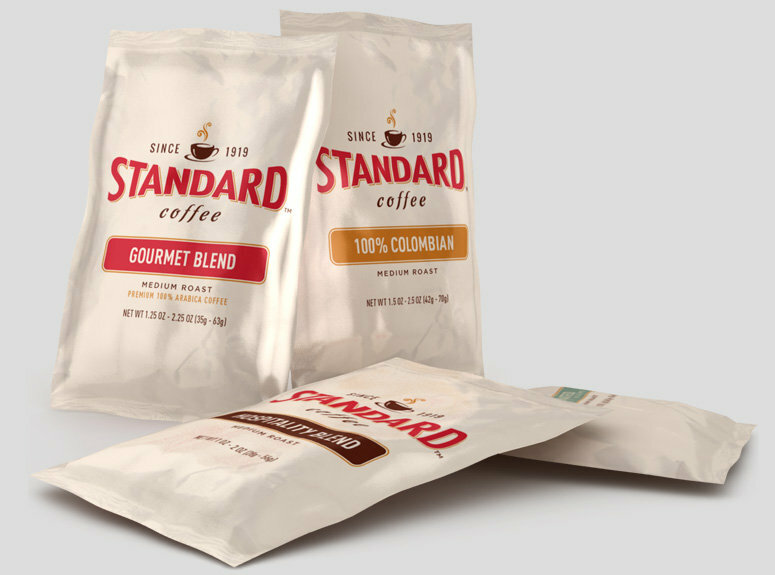 Our proprietary blend, Standard Coffee® offers the ideal balance of value prices and outstanding quality that has made us a customer favorite since 1919. Most blends are made from premium Arabica beans for optimal flavor in Gourmet, Colombian, Natural Decaffeinated and Hospitality blends. The new standard in affordable, quality coffee? Standard Coffee, of course! We're more than coffee. With a full suite of products, DS Services® delivery can provide all of your home and office beverage needs. From the essentials, like bottled water and dispensers, to premium waters and supplies, we can deliver total refreshment and convenience to your location.